Animated Adventures of Indiana Jones! This has been making its way around the interwebs today, so you might have already seen it. But its such a fantastic fan homage to one of the greatest characters ever put on film. A big design question for Raiders was what basic character classes should it have? 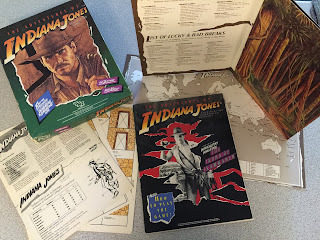 The pulp genre that the game is inspired by has a lot of different character types from explorers to archeologists, doctors to graverobbers, actresses to journalists. For me it was important to boil it down to the most essential classes that are core to the genre. Currently it is holding steady at five classes: Mercenary, Explorer, Academic, Occultist, Treasure Hunter, and Dilettante. That list is in flux as I'm trying to nail down the right variations of character types to represent. One that is almost certain to be in the final book is the Treasure Hunter, here is a preview of that class, it is sort of a cross between the Thief and Fighting Man if you were to compare it to classic DnD types. 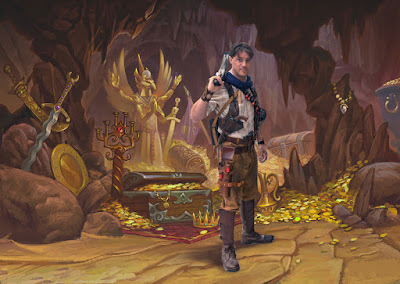 Treasure Hunters specialize in using dexterity and stealth to find valuable items that have been hidden away from the world, in tombs, temples and safes. They are experts in finding and disarming traps, opening locks, sneaking around unseen or heard, and attacking from surprise. Appraise: Treasure Hunters can quickly assess the value of unusual items, determine which pieces will most appeal to collectors, and determine if they are getting a good deal when purchasing supplies or negotiating with locals. Climbing: Treasure Hunters can climb twice as fast as an ordinary person (normally a person can climb a steep incline or wall at about half their standard move rate). It also allows the character to only take one-half of the ordinary damage from falls. Find/Disarm Traps: Treasure hunters can disarm any sort of trap that might be found in a tomb or wilderness area. Particularly difficult traps may apply penalties to the roll or require additional time. Hide: Anyone can hide from people looking for them if they have time and plausible places to hide in. With this skill, Treasure Hunters can hide on an instant’s notice, even in locations where cover seems unlikely. Language: Each odd level (1, 3, etc.) the Treasure Hunter gains fluency in one additional language. Open Locks: Treasure Hunters can pick locks, crack safes, and otherwise get past mechanical barriers. Stealth: a Treasure Hunter can move from one area to another without being noticed. Penalties may be applied for difficult circumstances, including moving other people or large objects, or moving through areas with obstacles or noisy environments. 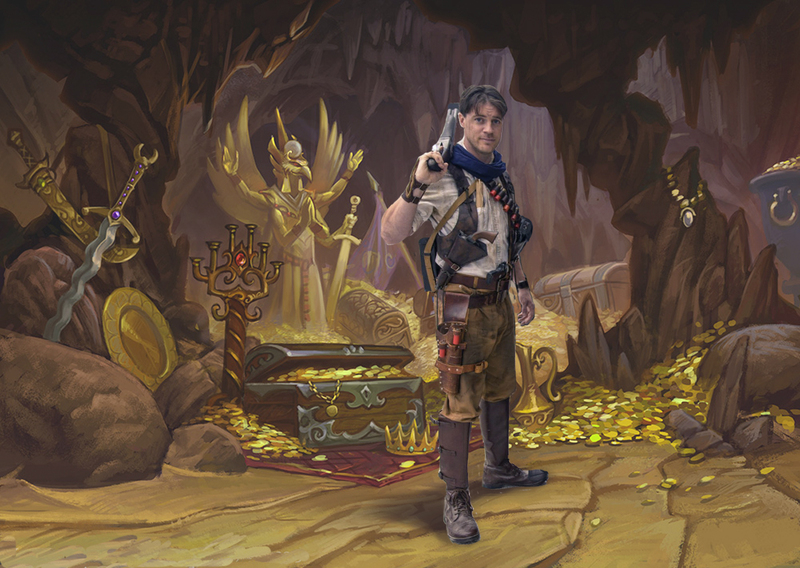 Surprise: Treasure Hunters are wary and have a +1 advantage to surprise checks. When a Treasure Hunter has the surprise they have a +1 to hit bonus on the first round of combat. 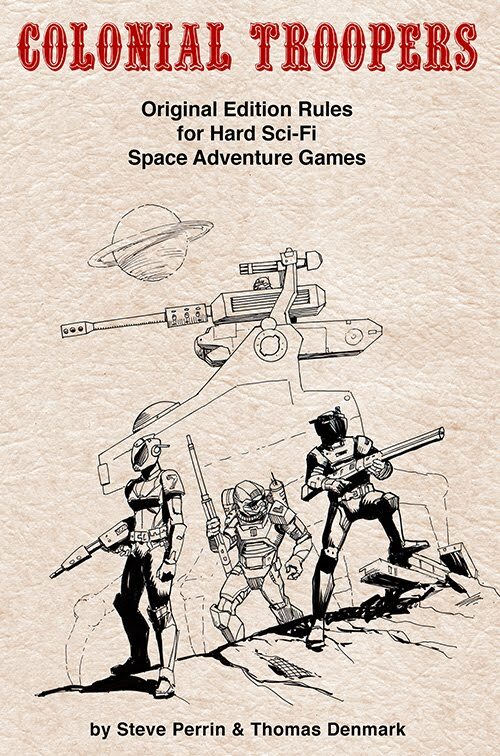 I know I promised to start making some regular posts about the Raiders of the Lost Artifacts retro-clone roleplaying game that I've been working on. 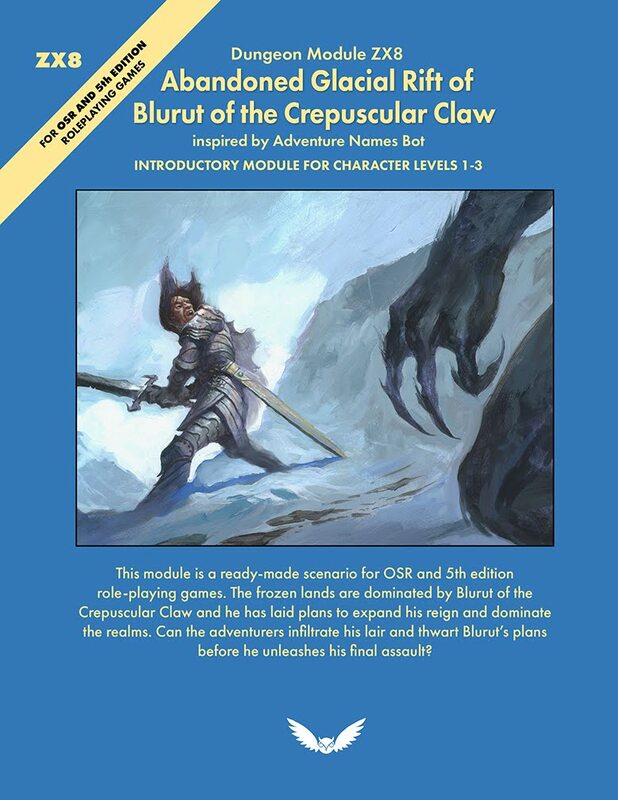 As so often happens real world work has gotten in the way (and a serious summer cold didn't help), but I have some half-written blog posts in various stages of completeness to start the train rolling on this new OSR RPG! The book is almost entirely written, except the character creation chapter which I have decided to rewrite from the ground up. That will be a major topic that will be loads of fun to write about on this here blog. This chapter is making good progress, however it is still a bit sketchy in details and incomplete. To whet your appetite here is a snapshot of the current table of contents. I hope to get the page count to below 98. It is much much harder to edit and refine text down than to just be wordy and take up space, as Mark Twain famously once wrote "I didn't have time to write a short letter, so I wrote a long one instead." 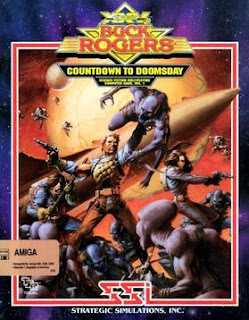 Buck Rogers is public domain? 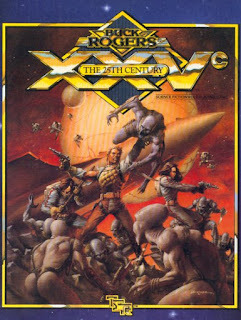 The CEO of TSR Lorraine Williams owned the trademark to Buck Rogers. This explains why TSR published so many ill-fated Buck Rogers games over the years during her reign (seriously, there are so many). First Buck Rogers Battle for the XXVth Century a Risk-like war game that didn't fare well, was then followed by an RPG (basically a modified version of 2nd edition AD&D) that also didn't do well. There were also books and even a computer game. I remember seeing these in stores and being mildly interested, but not enough to actually buy any of them. Other than the moderately popular TV show from the late 70's and early 80's there hasn't been a whole lot of Buck Rogers in popular media. 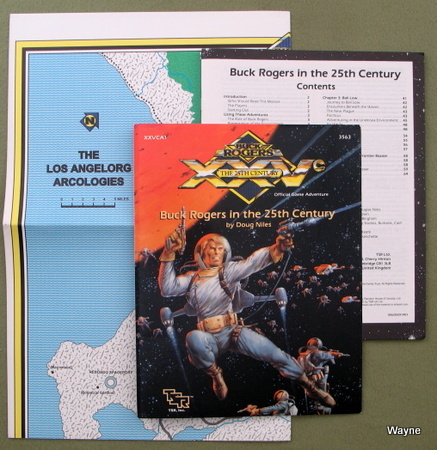 Until recently I didn't know much about the history of Buck Rogers. 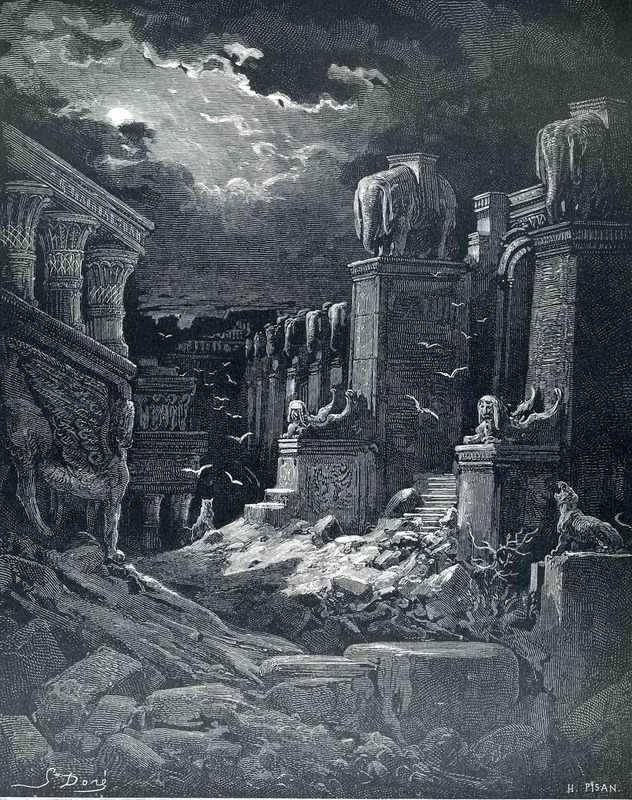 It was based on a novel by Philip Francis Nowlan called Armageddon—2419 A.D. I was surprised to learn that this book is in the public domain! You can get it here on Gutenberg.org as is the follow up novel The Airships of Han. I've often wanted to do a "Rockets and Rayguns" sci-fi retro-clone like Warriors of the Red Planet, and this gives me some ideas. Of course if you could actually use Buck Rogers that would make it just that much more compelling. I'm particularly fascinated by this topic, the ownership of copyrights and trademarks and how long they should last. At some point these things belong to the culture that spawned them, like Alice in Wonderland and Wizard of Oz so that artists and writers should be able to do interesting things with them. Just like Norse mythology belongs to the world now. Otherwise you get situations like the Burroughs estate where all those wonderful characters and worlds ERB created languished when creative people could have been making games, toys, books, movies and video games out of. 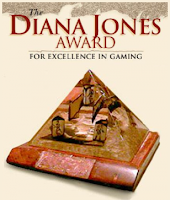 This is going to be an in depth review of The Adventures of Indiana Jones Role Playing Game (IJRPG). This review is going to be covered in several parts. This portion is going to be a high level overview, then we'll get into combat & system, character creation (yes, there is character creation! ), and then some of the supplements. The Diana Jones committee believes that a trophy that embodies the destruction of the last copy of one of the games industry’s most unloved and least-mourned products is a suitable symbol for the aims of the Diana Jones Award. Unloved. Least-mourned. 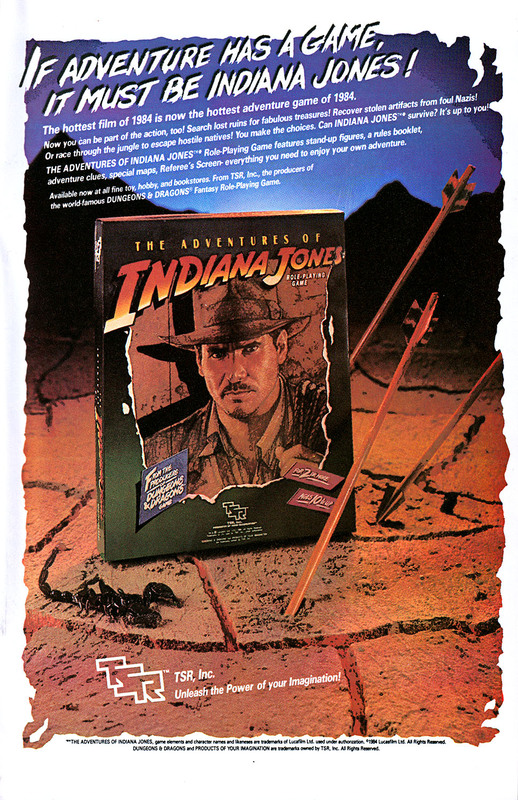 This is how the Indiana Jones RPG is remembered. Based on Raiders of the Lost Ark which isn't just a good movie, it is one of the greatest films of all time. #36 on IMDB's top films list. #60 on AFI's top list. It holds a special place in the hearts and minds of fans everywhere. Perhaps the greatest sign of how beloved this movie is: attend any convention where cosplayers roam and you will inevitably see several Indiana Joneses & Diana Joneses. But, not only was Raiders of the Lost Ark a fantastic movie, it had two terrific sequels that expanded the world and were also both well received (well, a minority did complain about Temple of Doom's sillier tone, but I happen to like it a lot). These movies have action, adventure, mystery, great characters, and magic. All the ingredients for a fantastic game. What went so horribly wrong? What made it so bad that it deserved to be called the worst RPG of all time? 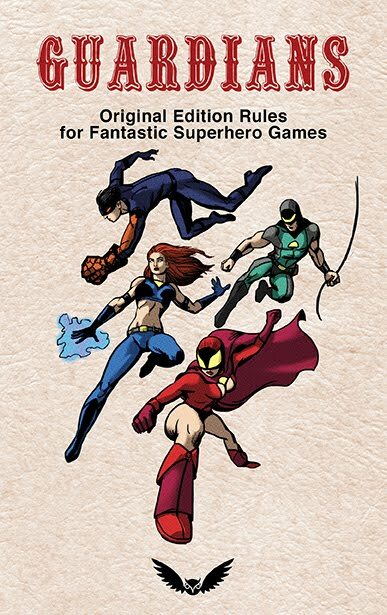 Well, apparently it is because of one fatal flaw: no character creation rules. For this grievous sin, for this unpardonable oversight, for this unspeakable crime against gaming, IJRPG was banished to the nether realms, to the graveyard of failed RPG's. The Adventures of Indiana Jones is a remarkably high quality product for its day. 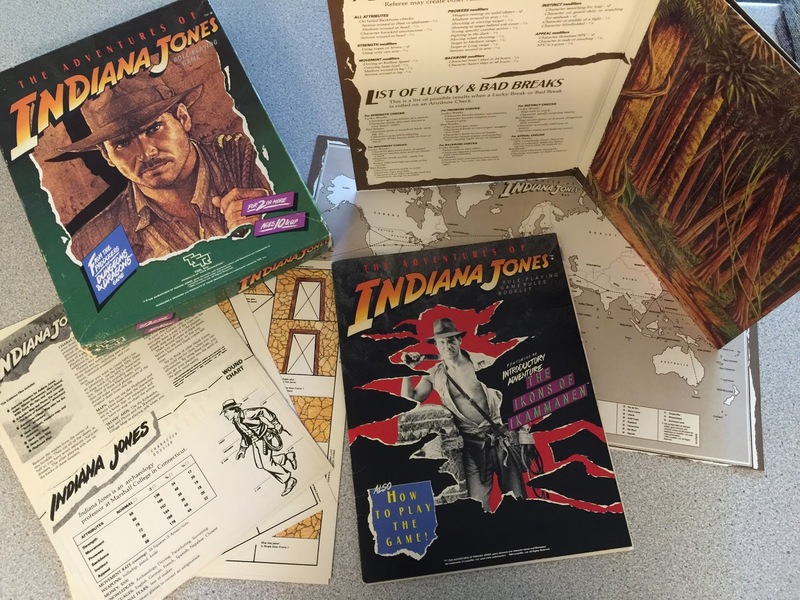 It included a rulebook, an adventure, a battle map (a world map on reverse), a referee's screen, 3d cardboard fold-ups, dice and a crayon! That is a lot of value packed into the box. The next installment of this review I'm going to do an overview of the system itself. On a side note as I was writing this review, the news dropped that John Williams will be scoring the next Indiana Jones film which will star Harrison Ford. Grognardia simply says "How disappointed I was when I finally got hold of a copy of the thing!"